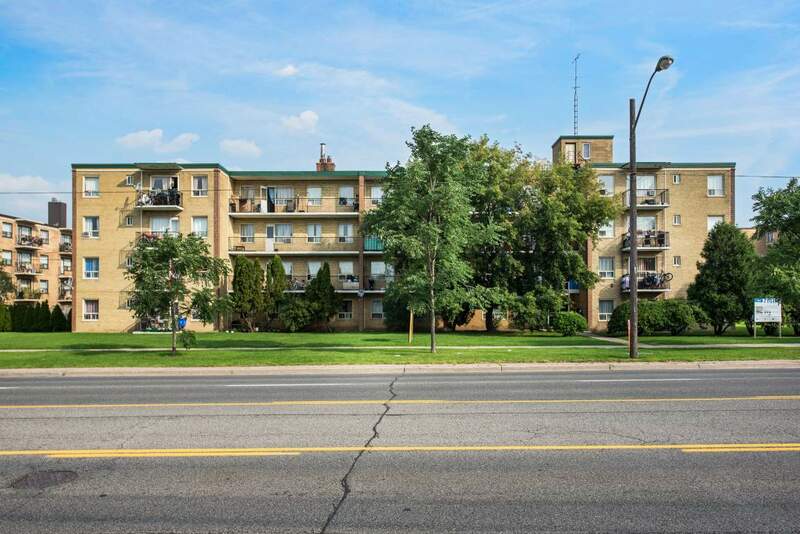 Located in the Newtonbrook neighbourhood of North York, this low-rise property is completely surrounded by greenspace. With TTC buses at your door and a short bus ride to the Finch subway station, as well as numerous services and amenities in close proximity, you couldn't ask for a better location. The site is close to several grocery stores (Metro, Food Basics and Whole Foods), schools (Northview Heights SS, Yorkview PS and Hebrew Schools of Toronto), parks and facilities (Antibes Park and Esther Shiner Civic Stadium), health care (Branson Ambulatory Care Centre and Bathurst-Finch Dental office), shopping (Newtonbrook Plaza and Centrepoint Mall), numerous restaurants and cafes, theatres and much more. Choose from freshly painted 1, 2 and 3-bedroom suites featuring modern appliances and beautifully refinished hardwood floors, The property also offers on-site laundry facilities and ample parking. Call us today to schedule a time to view one of our great units and make one your next home!